Point2 Homes gives you far more than a simple list of houses for sale. Get instant access to a lot of relevant information about Peterborough, ON real estate, including property descriptions, virtual tours, maps and photos. The search results pages also have a wealth of information on Peterborough, ON, if you scroll all the way down. 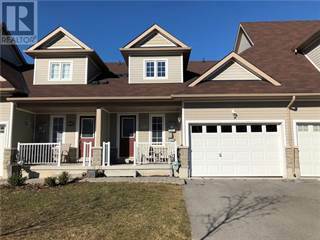 There are 78 houses for sale in Peterborough, ON. 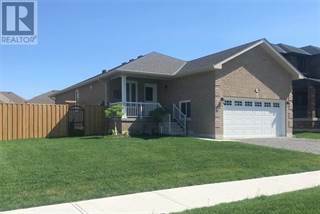 Searching homes for sale in Peterborough, ON has never been more convenient. 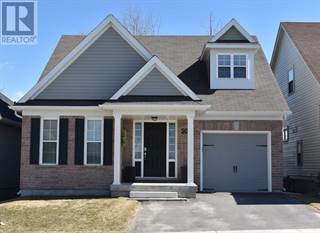 With Point2 Homes, you can easily browse through Peterborough, ON single family homes for sale, townhomes, condos and commercial properties, and quickly get a general perspective of the real estate prices. Also, you’ll never miss a bargain if you filter listings based on house price drops in the past six months. Use the map view to find Peterborough, ON homes and apartments for sale, based on amenities or city features that you may want close by. You can close in on a specific neighbourhood or area by simply drawing around them with the polygon or radius tools. Stay informed about the latest entries on the real estate market by saving your searches. This way, you get new listings in your inbox, daily or every week, based on your preferences. If you’d like to get in touch with a professional, agents are displayed next to their listings, and they’re easy to contact through the online forms. If you want more options, you can click the Tools tab and Find an Agent, and you’ll get a list of helpful and knowledgeable real estate agents in Peterborough, ON. Visit the Point2 Homes blog and you can find up to date expert advice on many markets throughout Canada, regular market reports, neighbourhood scoops in cities throughout the provinces, real estate deals and useful recommendations. Peterborough is a city in Canada located in the province of Ontario. The population of the Peterborough Census Metropolitan Area (CMA) is over 123,000 people (it includes the surrounding Townships of Selwyn, Otonabee-South Monaghan, Cavan Monaghan, and Douro-Dummer). It has an area of 1,507 square kilometers. Peterborough is called "The Electric City" because it had the first electric streetlights in the year of 1884. The city is named after Peter Robinson who is a Canadian politician. Peterborough has a hockey team and a lacrosse team. The city’s hockey team, the Peterborough Petes play for the Ontario Hockey League (OHL). They play at the Peterborough Memorial Centre. They have won the Memorial Cup and they are the oldest team in the league. The city’s lacrosse team is called the Peterborough Lakers. They play for the Major Series League and they have won the Mann Cup an impressive 14 times. They play at the Peterborough Memorial Centre as well. Peterborough is packed with festivals and events for everyone to enjoy. One notable festival that takes place annually is the Peterborough Musicfest. It takes place over 8 weeks and has brought in large acts like Carly Rae Jepsen and Walk Off the Earth who have played at the festival. The shows are free and there are 19 concerts over the span of the entire festival. There are many opportunities for shopping in the city. Lansdowne Place is a shopping centre with 107 stores to shop. Downtown Peterborough is also a shopping hub with many places offering everything from antiques, to sports equipment and more. You’ll find everything you want and more in Downtown. After a long day of shopping, hunger will set in and can be cured easily by the many restaurants that Peterborough has to offer. Cafés, restaurants and take-out of all kinds are found here. There are grills, Indian, Italian and sushi restaurants that suit the tastes of everyone. The Ashburnham Ale House is a “craft beer café” in Ashburnham that serves everything from meals to a cup of coffee. It is a great restaurant to visit for amazing food. Peterborough can be split into two parts: North Peterborough and South Peterborough. North Peterborough consists of the neighbourhoods of University Heights, Ashburnham and Downtown. University Heights is located the furthest north and within close proximity to Trent University. The neighbourhood is middle-class and quite quiet. Ashburnham is very close to the Downtown neighbourhood. There are parks and trails in the neighbourhood. The Ashburnham Ale House is also in the neighbourhood as well as a tennis club. Otonabee River runs on the west and south side of the neighbourhood. Downtown is in the central area of the city. It is filled with shopping and services. There are a few parks along the Otonabee River on the east side of the neighbourhood. Parts of the Trans Canada Trail run through the neighbourhood as well. South Peterborough includes the neighbourhoods of Kawartha Heights, Westview Village and Downers Corners. Kawartha Heights is home to many younger families. There are many schools and a golf course in the neighbourhood. It is very close to highway. There are many parks in the area and it is close to the Peterborough Hospital Retail Pharmacy. Westview Village has some commercial spaces throughout the neighbourhood. There is a park and the area is close to Fleming College. Downers Corners is located close to a variety of different restaurants. There are many parks towards the south of the neighbourhood. The neighbourhood is also very close to the Peterborough Bypass. University Heights has single-family homes and condominiums. The houses here are large and have yards. The properties are affordable and the homes are newer. In Ashburnham there are condominiums, apartments, and multi-family homes. Some homes in the area are older and the prices are affordable. The Downtown neighbourhood has multi-family and single-family homes. The homes in this area vary in size and features. The homes here don’t have yards like the ones in the rural areas. The prices here vary in affordability with some homes being a lower price and others being much more expensive. Kawartha Heights has bungalows and single-family homes. Most of the properties are large in this area with the smaller homes being farther away from the country club. The homes can vary in affordability and they are newer. Some of the nicest homes in the area are near the country club. Westview Village has townhouses, single-family and detached homes. The homes are typically larger towards the center of the neighbourhood with smaller properties near the outskirts. Some of the properties have higher prices. Downers Corners has single-family homes that are quite affordable. The properties are a mix of older and newer homes. The homes have yards that would suit a family well. There are three school boards in Peterborough: Kawartha Pine Ridge District School Board, Peterborough Victoria Northumberland and Clarington Catholic District School Board and Conseil scolaire de district catholique Centre-Sud. Collectively, there are 26 elementary schools and 7 secondary schools located within the city. When ranked by the Fraser Institute on the Elementary School Report Card, many of the schools in Peterborough scored well with the highest ranked at 7.6. Many other schools ranked around the same. As for post-secondary education, there are plenty of options within Peterborough. Trent University is located in the city. It specializes in environmental and cultural studies. Other institutions that are in the city are Fleming College, and Master’s College and Seminary. Some of Peterborough’s main industries are manufacturing, aerospace and agriculture. There are over 55 companies in the manufacturing sector of Peterborough. Products that are manufactured in Peterborough are delivered globally. The aerospace sector is continually growing within the city. The location is prime for this industry because of the close proximity to major cities as well as the United States border. The agricultural industry is quite unique here with Red Fife Wheat originating in Canada in the city of Peterborough. Harley Farms also puts their focus on practicing to treat livestock ethically, a first for the province. In Peterborough alone there are over 1,000 farms.